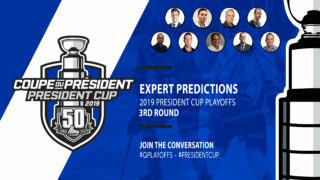 As part of the festivities celebrating the QMJHL’s 50th anniversary this season, fans were asked to vote for the best team in league history. While a number of teams drew votes, the fans’ selection was the 1999-2000 Rimouski Oceanic. Led by head coach Doris Labonté, the 1999-2000 Oceanic all came down to Brad Richards. In his third and final QMJHL season, the former top pick at the 1997 QMJHL Draft ended his campaign with 186 points, including 71 goals. That proved to be only the beginning for Richards, who went on to pile up 37 points in 12 playoff games to earn the Guy Lafleur Trophy as MVP of the President Cup playoffs. 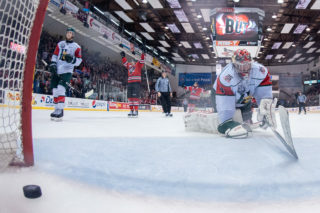 He didn’t stop there as he then earned MVP honours at the Memorial Cup in Halifax, with 10 points in four games. Four years later when the Tampa Bay Lightning were busy winning the Stanley Cup, Richards won the Conn Smythe Trophy as the NHL playoffs MVP, making him the only player to ever win the Stafford Smythe and Conn Smythe trophies as MVP of both the Memorial Cup and Stanley Cup playoffs. 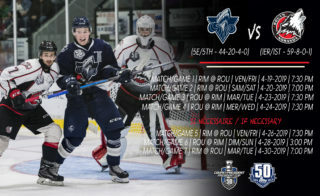 Aside from Richards, the Oceanic also counted the likes of Slovakian Juraj Kolnik and Swiss-born Jan-Philippe Cadieux, who each enjoyed 100-point campaigns in that dream season for Rimouski as the Oceanic was only in its fifth year of existence in the QMJHL. Acquired the previous season from the Quebec Remparts, Kolnik scored 53 goals in 47 games. To this day, he is one of only seven Europeans to have reached the 50-goal mark. As for Cadieux, his 110 points is the ninth-highest total ever put up by a European-born QMJHL player. The Oceanic captain was Jonathan Beaulieu who was in his fourth of five seasons with Rimouski. 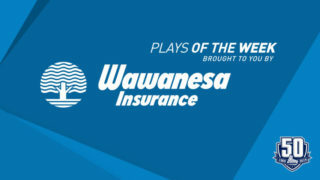 Beaulieu was among those who stepped up during the playoffs with 14 points in 14 games. He also wrote his name into the club’s record book and remains at No. 2 all-time for games played for the Oceanic with 279. Also up front for the Oceanic were the likes of Thatcher Bell, Michel Ouellet, Jean-Philippe Brière, Benoit Martin, Jacques Larivière and Alexandre Tremblay, who was an important pick-up at the trade deadline from Shawinigan. 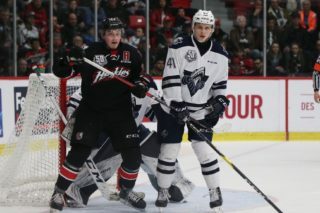 Tremblay would go on to join Daniel Goneau as the only two players in QMJHL history to have ever won the Air Canada Cup (the Canadian Midget championship, now the TELUS Cup) and the Memorial Cup. Leading the way on the blue line was Michel Periard who posted 100 points in 70 games. 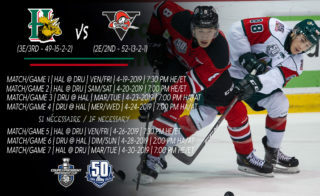 Only 15 QMJHL d-men have ever managed to reach the century mark in a single season. Periard was also part of a “Big Three” of his own along with Joe Rullier and Slovakian Rene Vydareny. Acquired from the Huskies over the holidays, Shawn Scanzano was joined by two 16-year-old Nova Scotian rookies in Aaron Johnson and Brent MacLellan to round out the group of six rearguards who were the first Memorial Cup winners of the new millennium. The Oceanic’s crease was entrusted to future third-round pick of the Penguins at the 1999 NHL Entry Draft, Sebastien Caron, who won 38 of the 54 games he appeared in during the regular season. Caron was also solid in the playoffs and at the Memorial Cup, backstopping a team that often gave him a nice cushion to work with. We will always remember the 1999-2000 Oceanic as an offensive juggernaut that averaged over five goals per game on its way to a 64-22-4 record in the regular season plus playoffs. How can one not marvel at their 50-0-0 mark when leading after two periods? And the Oceanic remains the only team in QMJHL history to have gone 4-0 at the Memorial Cup. Five players eventually went on to play in the NHL, including Brad Richards, Juraj Kolnik, Michel Ouellet, Aaron Johnson and goaltender Sebastien Caron.